If you have red, scaly, itchy, or burning feet, you may have athletes foot. Athlete’s foot (tinea pedis) is a fungal infection caused by the fungus Trichophyton rubrum. Other symptoms include cracked skin, discolored nails, and even changes to the structure of the nail. There may also be an odor. Unless the symptoms are very severe, it’s usually unnecessary to go to the doctor unless you are a diabetic as diabetics need to take extra care with infections. 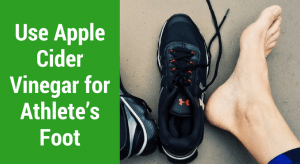 There are over-the-counter (OTC) treatments that you can get either with a prescription or without, but there is a more cost-effective and natural way for athlete’s foot, such as using apple cider vinegar. Does Apple Cider Vinegar Work for Athlete’s Foot? Apple cider vinegar has antimicrobial properties. While there is no specific research done on apple cider vinegar for the fungus that causes athlete’s foot, there are studies done on its effect on other microbes. Apple cider vinegar is effective against bacteria and fungi (1, 2). This is due to the acetic acid content of apple cider vinegar. Apple cider vinegar will relieve the itching. Apple cider vinegar also has anti-inflammatory properties which will help to reduce the redness and may help with the burning sensation too. Though it might not smell very nice, apple cider vinegar (ACV) can be used in combination with other remedies or can be used on alternating days with some other remedies like hydrogen peroxide or colloidal silver (3), both of which have anti-microbial properties (2). Always wash your feet before using these remedies to make sure that you minimize the bacteria on your feet first. While you may find a few recommendations for using ACV undiluted, this can actually cause more harm than good. While you can find ACV that is already diluted, it’s best to make sure that if there is no indication that it has been diluted (usually indicated by a percentage), that you dilute it with water. In a clean bowl or bucket that you don’t mind soaking your feet in, mix equal parts of warm water and ACV. You just need enough to be able to soak your feet in. Soak your feet for 10-30 minutes twice a day. Dry your feet thoroughly afterward and wear sandals, or wear socks made from a natural material that breathes well, for example, cotton, if you will be wearing closed shoes. If you find that it burns or stings your skin and it doesn’t go away after a few seconds that you might need to dilute the mixture a little bit more. If you don’t like soaking your feet or don’t have time for it, you can mix some water and apple cider vinegar in equal parts again and simply dip a cotton ball into the mixture and dab the affected area. Once again, before wearing any shoes, make sure that your feet are dry. For best results, when you dab at the affected area, press the cotton ball down and hold it for a few seconds before dipping the cotton ball in the mixture and repeating. Do this for up to 10 minutes twice a day. The ACV wipe method can be tedious so here’s another option.You can also use the same ACV foot soak mixture to soak a clean towel in and then drape the towel over your feet for 10-30 minutes twice a day. Unfortunately, feet aren’t the only areas that can be affected by the fungus that causes athlete’s foot. It can also cause jock itch and even affect your scalp. In this case, you may find that adding ACV to your bath water very useful. Simply add 2 cups of ACV to your bathwater. If you want to use it to rinse your scalp, you can either dilute it with water in equal parts, or you can use a little less ACV if you worry about the smell though the smell will be less strong when your hair is dry. Leave it on for a few minutes (5-10 minutes should be fine) before rinsing it out. ACV can dry your hair out if used often, so use conditioner each time before you use the ACV rinse. Salt can be mixed with ACV to soak your feet with, use as a wipe, or soak a towel in to be draped over your feet. Normal table salt can be used, but Himalayan salt is particularly good because of the minerals it contains. Epsom salt can also be used. This will also help to draw impurities out of your skin. Add 2 tablespoons of the salt to the water you intend to soak your feet in. You can use a little bit less ACV in this case, a quarter cup or so will be enough. Stir until the salt is dissolved and soak your feet for 10-30 minutes. Raw and manuka honey both have antifungal properties. A combination of ACV and honey is soothing and will help to treat athlete’s foot. Combine 4 parts of honey with 1 part of ACV(4). The apply the mixture to the affected area and leave it for 10-20 minutes. You can also 2-4 tablespoons of honey to your ACV foot soak. Mustard has also been shown to have antifungal properties (5). You can add a tablespoon or two of mustard oil or powder to your ACV foot soak. The powder will probably work better as it will be easier to mix with the water. This athlete’s foot apple cider vinegar recipe might smell a little bit better than just the ACV mixed with water. Various essential oils also have antifungal properties and can be added to your foot soak mixture (6, 7,). Simply add 10-15 drops to the foot soak. Adding essential oils to the salt and ACV mixture is the most effective. You can use one essential oil or a combination of them. The essential oils from geranium onwards are the most effective against athlete’s foot. They also have anti-inflammatory properties, particularly lavender, clove, and peppermint. You may also be able to find some of the essential oils in tea form or make tea out of the particular herbs or spice that you like and use that instead of water as for your foot soak. If you are specifically using the herbs or spices to brew your own tea, you may need to brew them as long as 20 minutes. Otherwise, you should find these teas in a health shop if not at the supermarket. For any sock, towels, cloths, as well as clothing that may have come into contact with the affected area or items used to treat it, you can add a cup of ACV to your wash cycle. When these items dry, they will not smell like apple cider vinegar. Using apple cider vinegar for athlete’s foot is effective but it’s not for everyone. You may want to do a patch test before committing to soaking your feet in it. You will need to be patient. Treatment can take a couple of months, particularly if your nails are affected too. Use raw unfiltered ACV that contains the mother as this is far more effective than filtered ACV. The label should specify, but if not, unfiltered ACV is cloudy and the mother is the sediment floating around or lying at the bottom of the bottle. Wash your hands before and after attending to your feet. Your feet should also be washed before treatment. Always dry your feet completely after treating them as the tinea pedis fungus likes moist areas. The bowl or bucket you use to soak your feet in should be cleaned with disinfectant each time. If your shoes are wet for whatever reason, including sweaty feet, leave them out in the sun to dry and/or put some baking soda in them. Sandals and open-toed shoes are recommended during this time, but since the infection can take a while to go away if you do need to wear closed shoes, make sure they fit well and are breathable. Your socks should also be breathable. Always wear clean socks. You won’t get rid of the infection by wearing your socks more than once before washing them. Never go barefoot at the gym, public pool, or any other public area, especially damp areas. This is usually how people get infected. If you choose to use essential oils or herbal teas, speak to your doctor first as they may interact with certain medications and health conditions even when used topically. Never combine hydrogen peroxide and ACV it creates a dangerously acidic substance which can do a lot of damage to your skin. 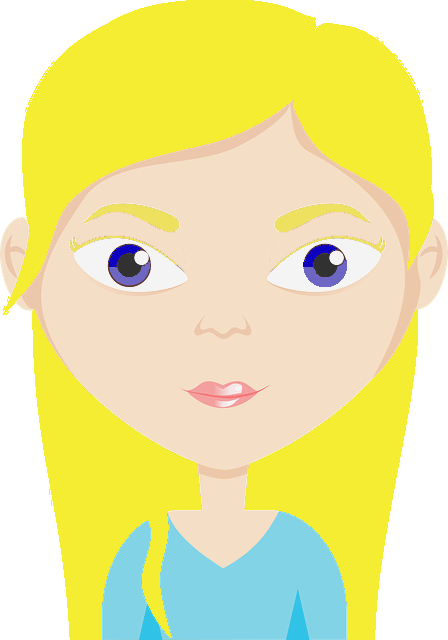 If the infection is severe, it’s best to see the doctor. If you can’t use ACV due to a sensitivity to it or because you don’t like the smell, there are other remedies that you can use. A popular and very effective remedy that smells much better is baking soda. You can also use a different vinegar if you don’t have any ACV in the house. Please let us know if any of these remedies are working or has worked for you. We would love to hear from you.